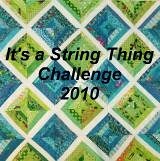 It's a String ThingChallenge: Me too! Yellow and Blue! Me too! Yellow and Blue! Linda and I were both thinking the same!! 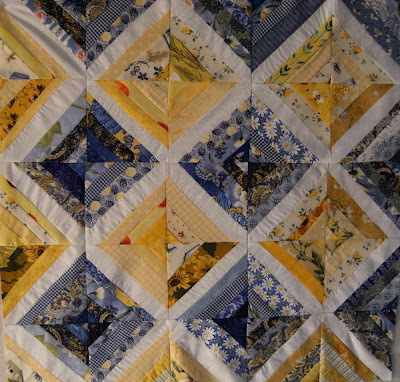 Remember when Blue and Yellow quilts were all the rage? I do and I have lots more blue and yellow in my stash. That's when I made my first Yellow Brick Road quilt. Hummm... That pattern came out in 2000. It is the all time top selling pattern. Wow Stacey..Love,love,love your blue and yellow. So pretty.